2019's Record Store Day sees the vinyl release of the classic Dexys Midnight Runners "BBC Live In Concert" recordings made in 1982. 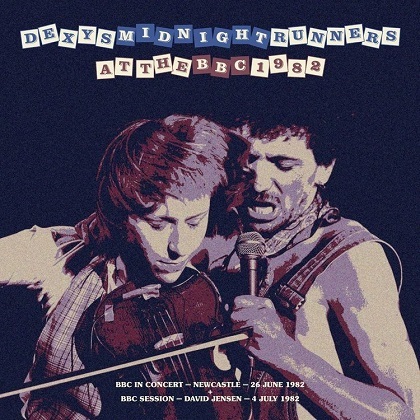 Featuring the excellent live show from Newcastle's Exhibition Park made shortly before the release of "Come On Eileen", the concert captures Dexys - standing on the brink of world-wide commercial success - giving the first public airings of the songs which would make "Too-Rye-Ay" a global hit. The limited edition 2-LP green vinyl release also features the BBC Radio One Sessions recorded for Kid Jensen in 1982, meaning that this package largely replicates the second CD of the Deluxe "Too-Rye-Ay" reissue from 2007. For more information about Dexys Midnight Runners' historic BBC recordings see: Dexys At The BBC. Record Store Day is on Saturday, April 13th 2019. "The title track 'Orion Is Red' began life when I was holidaying in Wales. It was a beautiful evening and the sky was red and I was just looking out over the sea feeling good and looking forward to the next days. It's a song that is meant to lift the spirits. It's also another way of saying 'red sky at night, shepherds delight'." "Circles" had been around for a few years before you released it, were these songs written and recorded more recently? "Nearly all of the songs on this album have been written in the last year or so. There are two tracks that are a few years older - 'Nothing Ever Stays The Same' and 'A Very Long Winter'. There is one track that I wrote years and years ago and that is 'Take Love'. All the tracks were recorded in 2015/2016 and all were recorded in my own humble recording studio 'Headline Music Sound Studios' and were all produced by myself. I play most of the instruments myself piano/keys/guitars/mandolin to name some and I am very grateful for: Allan Tappenden - Ukulele and Guitalele on 'A Very Long Winter'; Sue Tappenden clarinet on 'A Very Long Winter'; Babs Betts and Sue Tappenden - Backing vocals; Tim Smyth - Bodhran on 'Orion Is Red'; My partner 'Babs Betts' also co-wrote two of the tracks 'Gemma' and 'A Very Long Winter'. How do you feel this album compares to "Circles"? "Circles was probably more diverse and deep, looking at aspects of life, nature and human nature, not always good. Orion Is Red on the other hand is more of a love/uplifting album, all tracks are meant to raise the spirits and make you feel good." You've released two albums in quick succession - do you have plans to release any more soon? "I have actually recorded a number of other albums, some of which are instrumental. I may release these in the future. I am however, currently working on a brand new album, with all new songs, many of which have been co-written with lyricists. I would hope this would be completed by early 2018 and I do plan to release it." 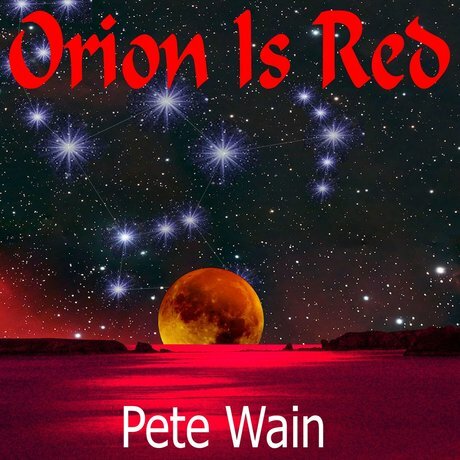 "Orion Is Red" and Pete's previous release "Circles" are both available to download on Amazon and iTunes and can also be streamed on Spotify. June 21st 2017 saw the broadcast of a BBC Scotland documentary about The Proclaimers, featuring interviews with Kevin Rowland throughout the hour-long programme. Once again, the Scottish duo were quick to state how big an influence Dexys Midnight Runners had on their musical development and revealed that Rowland organised and paid for their very first demo sessions which spring-boarded them to success. Presented by David Tennant, this celebration of thirty years in the music business for the Auchtermuchty twins, featured a star-studded cast including Edwyn Collins, Paul Heaton, Matt Lucas, KT Tunstall, Bill Drummond... and Nicola Sturgeon! This excellent programme is available to watch again on BBC i-Player until 21st July. July 15th 2017 will mark the 40th anniversary of Kevin Rowland's debut single release, The Killjoys' "Johnny Won't Get To Heaven". Speaking to The Irish Sun ahead of a recent DJ set in Dublin, Rowland said of his formative years in the music business: "I remember it but I can’t remember the nuances of it. I remember the facts. We probably learned all the things we needed - we learned what NOT to do in The Killjoys. And, really, it wasn’t me anyway, being a punk - it was just jumping on the bandwagon really." Kevin, fresh from enjoying the success of a top ten album with Dexys last year [see below], continues his DJ-ing activities on Friday 9th June at the "Loop" club on Blackburn's Northgate. 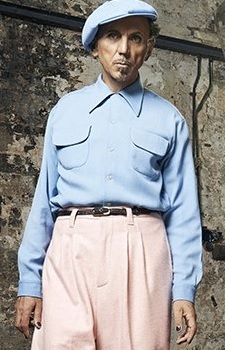 NEW DEXYS ALBUM DUE OUT IN JUNE!!! A brand new Dexys album will be released on June 3rd 2016 - almost exactly four years to the day since the release of "One Day I'm Going To Soar". 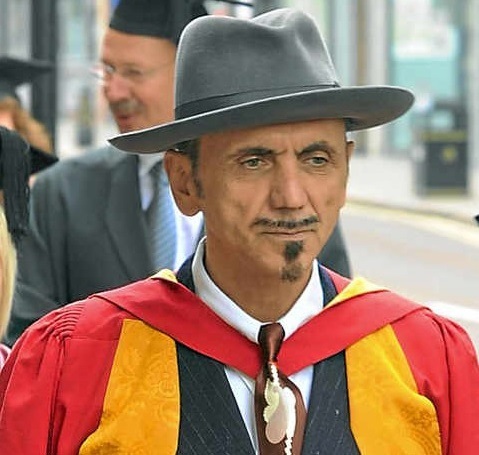 The new album, entitled "Let The Record Show Dexys Do Irish And Country Soul" will feature interpretations of traditional Irish tunes together with other classic material. Songs featured include the beautiful "Women Of Ireland" (a clip of which can be found on YouTube) and "Smoke Gets In Your Eyes", written in the early 1930's by Jerome Kern (composer of the classic Dexys Midnight Runners recording "The Way You Look Tonight") and previously covered by Kevin Rowland's musical hero, Bryan Ferry. 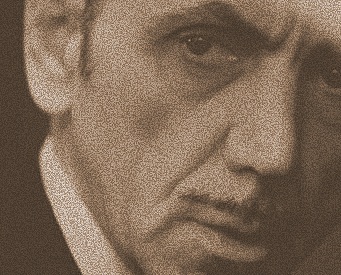 The idea of releasing an album of Irish material apparently dates back to the mid-eighties when Rowland started planning Dexys Midnight Runners' follow-up to the legendary "Don't Stand Me Down" L.P. - and a version of the old Irish ballad "Kathleen Mavourneen" was recorded around this time - but the proposed album never came to fruition as a result of the band breaking up. interestingly, three of the songs selected - "Carrickfergus", "Curragh Of Kildare" and "Women Of Ireland" - were also recorded by Helen O'Hara for her 1998 release, "A Night In Ireland". Read exclusive album review: "Off The Record"
Pete Wain, former piano player with Kevin Archer's post-Dexys group, The Blue Ox Babes, has released a collection of his own material on April 1st 2016. The album "Circles" which features a guest appearance from ex Dexys Midnight Runner and Blue Ox Babe, Steve "Brennan" Shaw, is described as "intelligent pop-rock with shades of jazz and folk." 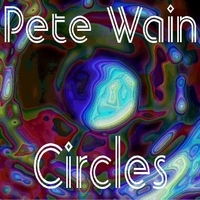 Multi-instrumentalist, Pete Wain provides most of the other instrumentation himself along with the excellent vocals which are rather reminiscent of Elvis Costello. Album hi-lights include the rootsy "Fool" featuring the familiar fiddle of the afore-mentioned Steve Shaw, the jazzy-stylings of "Old Town" and the hazy soulful sounds of "No Fears". The album is available to download digitally via iTunes, Amazon, and CD Baby. 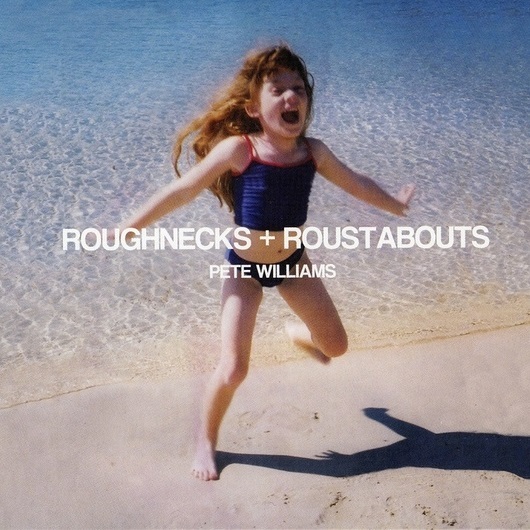 "Roughnecks and Roustabouts", the second solo album from original Dexys bass player and sometime joint lead vocalist, Pete Williams was released on March 30th 2015. The follow-up to his critically-acclaimed 2012 album "See" was originally scheduled for release in July of last year. The new album includes the songs "People" and "Nothing's Going To Stand In Our Way" which featured on the Basehart demos distributed over a decade ago while "Keaton's Walk" dates back much further having first seen light of day in 1985 as a recording by Pete's post-Bureau project, These Tender Virtues. Among the musicians featured on the release is Pete's ex-Dexys and Bureau band-mate, keyboard maestro Mick Talbot. The much anticipated Dexys film, "Nowhere Is Home" went on general release for one night only at Vue Cinemas across the U.K on Monday 21st July 2014. Filmed during Dexys' shows at The Duke of York Theatre in London back in spring 2013, the film previously premiered at the the South Bank's B.F.I. on May 9th this year. As an added bonus, most of the fans who booked tickets for the screenings in advance got an exclusive 7" single featuring live recordings of "Nowhere Is Home" and "I Love You (Listen To This)". The documentary, made by BAFTA award winning film-maker Kieran Evans together with Paul Kelly, is a gritty account of the group's shows featuring interviews alongside live footage of performances. 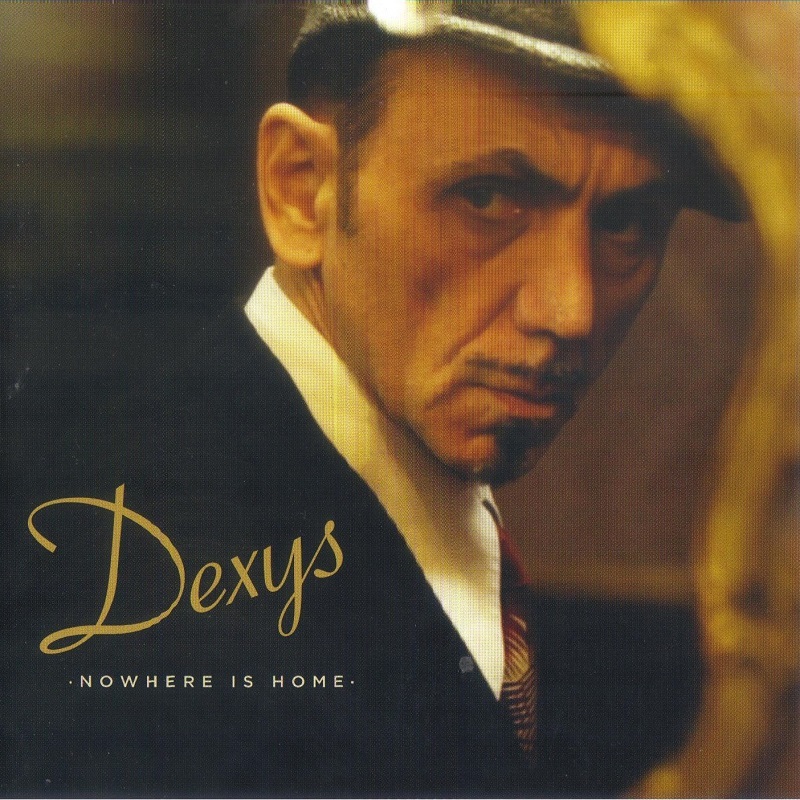 Read exclusive review of the film "Nowhere Is Home"
NEW DEXYS BOOK OUT NOW! 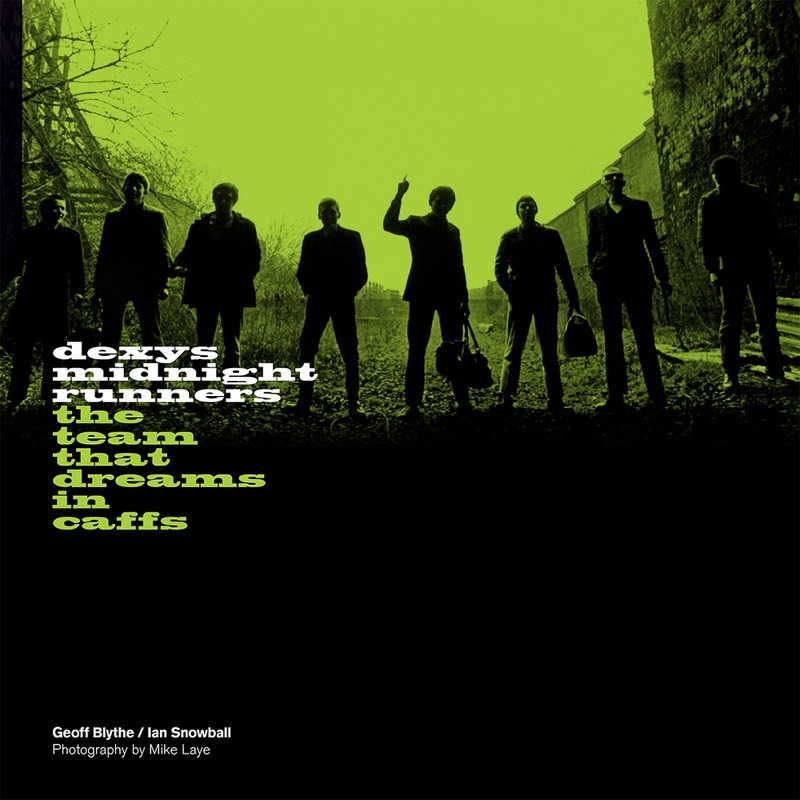 A brand new book telling the story of Dexys Midnight Runners' early days and the recording of debut album "Searching For The Young Soul Rebels" is out now. The book, entitled "The Team That Dreams In Caffs", which has been written by Dexys sax man and co-founder Geoff Blythe together with Ian Snowball and Pete McKenna features many rare and previously unseen black and white pictures of the group taken by photographer Mike Laye. According to the book's publishers, "It’s a book that will resonate with a generation and appeal to those still searching for the young soul rebel in themselves." ROWLAND'S DEGREE SEES RETURN OF THE WOLVERHAMPTON WANDERER! It has emerged that keyboard maestro, Mick Talbot has left Dexys to pursue other musical ventures. 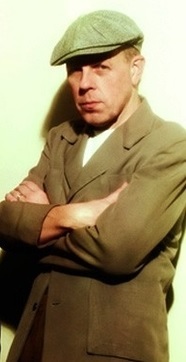 The former Merton Parkas, Bureau and Style Council member has been a mainstay of the Dexys revival since he teamed up again with Kevin Rowland for the band's "To Stop The Burning" Tour in 2003 and recently performed on the Dexys album "One Day I'm Going To Soar" and subsequent live shows. 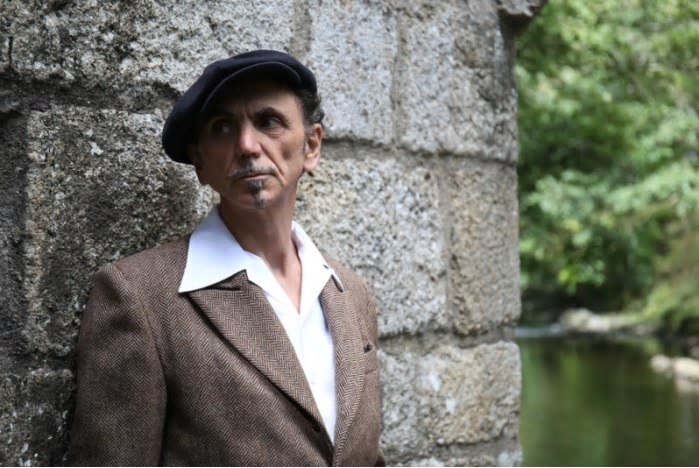 A statement on the official Dexys web-site explained: "The band would like to take the opportunity to thank Mick Talbot for his contribution on the ‘One Day I’m Going To Soar’ album and live shows over the past twelve months and wish him the best of luck with his future plans."